I’m currently smack-dab in the middle of a running slump. It’s a really bad one. There is no doubt that I love to run. I count on it to balance my mood and make me feel fierce. That being said, I have had zero desire to lace up my shoes lately. 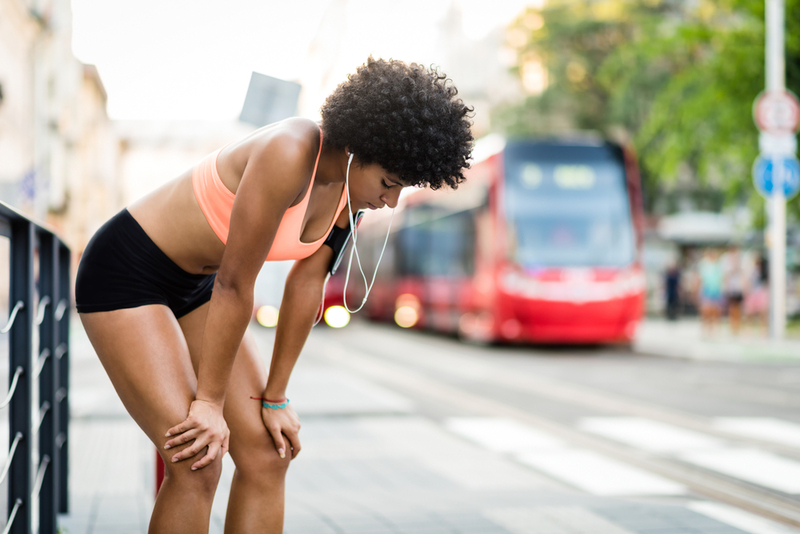 How does one rid themselves of the dreaded Runner’s Slump? I have a few tricks up my sleeve that I would like to share. When you lack the ambition to get out the door and put some miles on your shoes, it can do horrible things to your confidence. As more and more time passes between runs, you start obsessing about how out of shape you are, how difficult running will feel, how slow you will be. I get it. I just ran yesterday for the first time in longer than I want to admit. It was 12-minute miles and absolute HELL. We all know that the endurance will come back, but those first few weeks back running after a long break can make us question why we ever thought running was a good idea. When you have to work so hard for a few miles, and you aren’t even rewarded with a runner’s high, it can make pulling yourself out of a slump very difficult. The only real thing we can do is to stick with it like we have done countless times before. We embrace the beginner’s discomfort so we can get back to being the animals that run 6+ miles at a time without stopping for water or walk. That being said, you can do a few things to trick your brain into enjoying the process a little more. Motivate Yourself – Look for ways to motivate yourself to get back to running. Follow some fun runners on Instagram. Buy some new running clothes. Promise yourself that cool new thing you’ve been wanting when you’ve racked up 20 miles back at it. Anything you can do to get excited about running again is a good thing to seek out. Ask for Help – Asking for help is never a bad thing. Ask your running buddies to help you get back out there. Set up some runs with friends, but let them know you are slower than normal – they won’t care, they just want to hang out and help. Push Through it – Sometimes all it takes is some old-fashioned GRIT. Lace up and force yourself through the slump. Give up on being as fast as you were. Quit telling yourself that you will never reach that speed or ease again. With grit, you will get there. You had to work for it before, and you will have to work for it this time too. Or give it time – I hate to say this, but sometimes you just need a break. Don’t feel guilty about it – if running is something you love to do, you will come back to it. If you are feeling the need for a running break, check out my previous article on 7 Reasons You Should Give Up Running Once in a While. Do something else – Sometimes all you need is a little variety to spice up your running life. By signing up for a new sport — swimming, basketball, racquetball, tennis, soccer, etc. – you can work on your fitness level without feeling depressed about how slow your minute-per-mile speed is. It can’t replace running, but it can make you feel stronger and more confident so returning to running doesn’t feel so sad. Read, Watch, or Listen – One of the ways I am able to find a lot of motivation is through books, documentaries, and podcasts. There is a slew of great running books out there – all you have to do is search on Amazon or ask your local librarian. There are also some amazing documentaries that can get you pumped up to run. And podcasts are usually delivered weekly. There are mother runner-related podcasts, ultra-running podcasts, and marathon podcasts. There are even some for beginners. Any type of running-related media should get you excited to get back on the road. So, after my dismal run yesterday, I will lace my shoes up tomorrow and try again. I know I will be just as slow, but I am determined. I mean, I have two relay races to concur this summer. I can’t be a couch potato any longer. For me – I am going with the “Push Through it” and “Read, Watch, or Listen” combo. Wish me luck, and good luck to you if you are suffering from the Runner’s Slump.